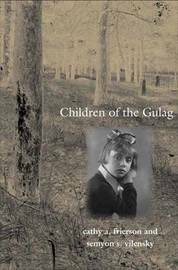 This groundbreaking book offers a comprehensive documentary history of children whose parents were identified as enemies of the Soviet regime from its inception through Joseph Stalin's death. When parents were arrested, executed, or sent to the Gulag, their children also suffered. Millions of children, labeled "socially dangerous," lost parents, homes, and siblings. Co-edited by Cathy A. Frierson, a senior American scholar, and Semyon S. Vilensky, Gulag survivor and compiler of the Russian documents, the book offers documentary and personal perspectives. The editors present top-secret documents in translation from the Russian state archives, memoirs, and interviews with child survivors. The editors' narrative reveals how such prolonged child victimization could occur, who knew about it, and who tried to intervene on the children's behalf. The editors show how the emotions from childhood trauma persist into the twenty-first century, passing from victims to their children and grandchildren. Interviews with child survivors also display their resilient ability to fashion productive lives despite family destruction and stigma. Cathy A. Frierson has held the Class of 1941 and Arthur K. Whitcomb Research Professorships at the University of New Hampshire and is the author or editor of a number of books about Russia. Semyon S. Vilensky was a Gulag prisoner and journalist who serves as chair of the Moscow literary-historical society "The Return" and on the Russian Federation's Presidential Commission for the Rehabilitation of Victims of Political Repression. He is also the editor of Till My Tale Is Told, a collection of memoirs by women prisoners in the Gulag.